Totally summer board meeting worthy, right? I know it's hard, but please ignore the wrinkles. 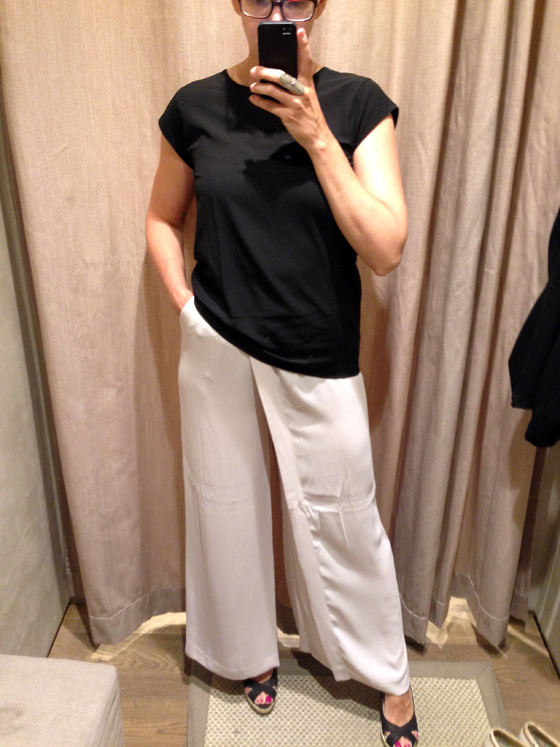 These pants are 100% pretty in person. Occasionally, these pants can look like a skirt. But I promise, it's not annoying like "UGH I wish these clever pants would stop being a skirt." 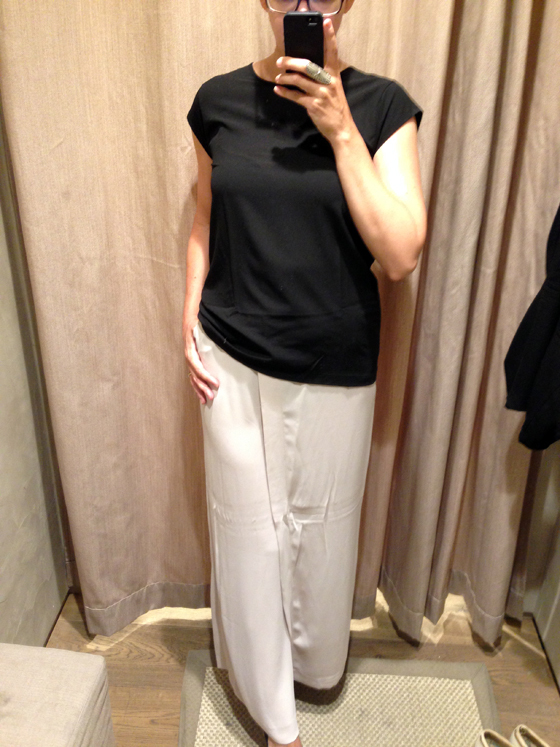 Instead one feels very elegant wearing them, even in the dressing room with wrinkles. Shoes on sale for $34.99. These pants are long (although not enough on me, but I have a very long inseam and they were slightly small on me). 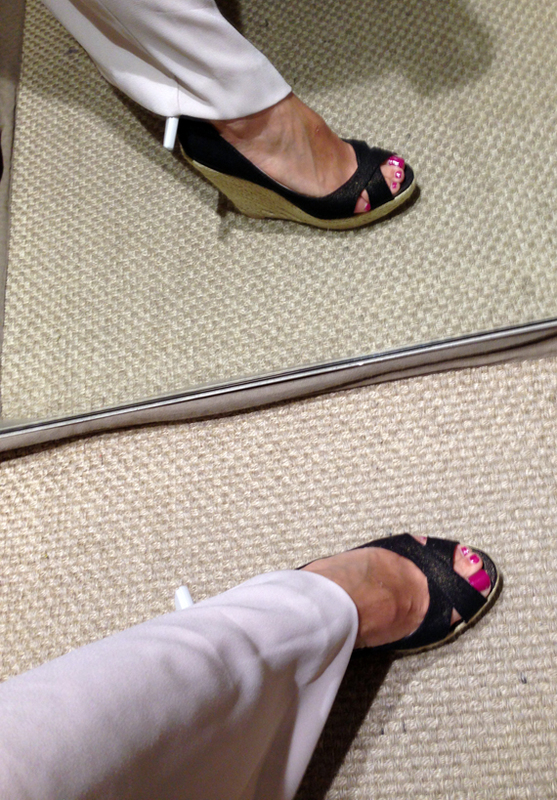 Look for these super high wedges on the shoe sale rack.